"This classic guacamole with creamy avocados, fresh cilantro, jalapeno, and red onion is ready to serve in just minutes." Mix diced onion, cilantro, jalapeno, lime juice and garlic. Add tomatoes and mix. Gently fold in avocados. 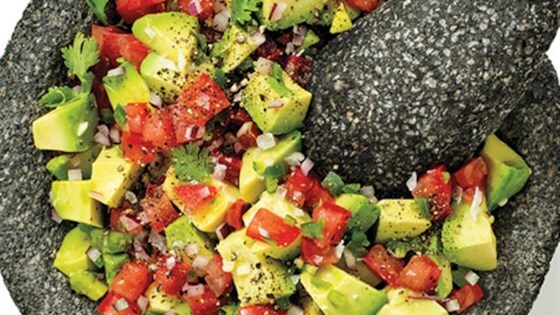 Serve with fresh veggies or tortilla chips. Yummy! I added a little sea salt to taste and took out the Jalapeno to avoid the heat. Delicious! !